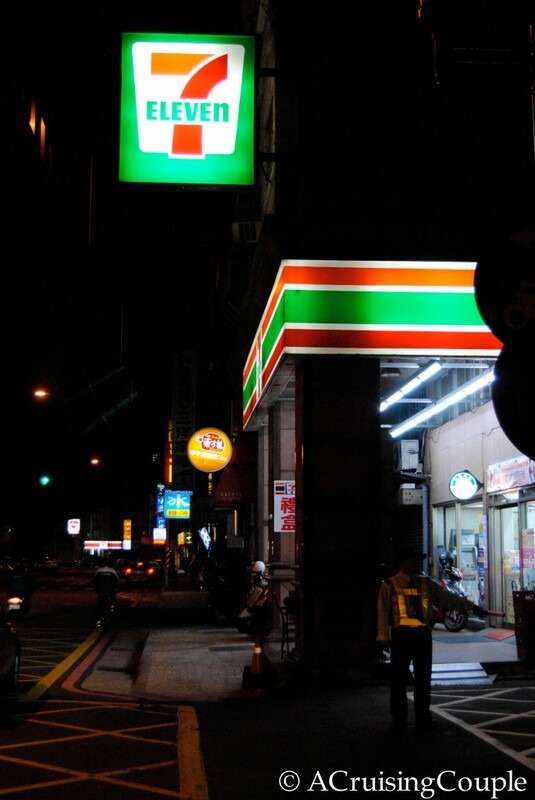 Before we came to Taiwan, I couldn’t even remember the last time I had seen a 7-Eleven. Even if I had grown up with a 7-Eleven around the corner, I don’t think I would have thought twice about it. Unless I happened to be craving a Slurpee. But now, I have about thirty-five 7-Elevens around the corner. You might think I’m exaggerating, and…well, I am. But only slightly. 7-Elevens are seriously everywhere in Taiwan, with nearly 5,000 stores in a country the size of North Carolina. That ranks Taiwan as having one of the highest densities of 7-Elevens in the world. 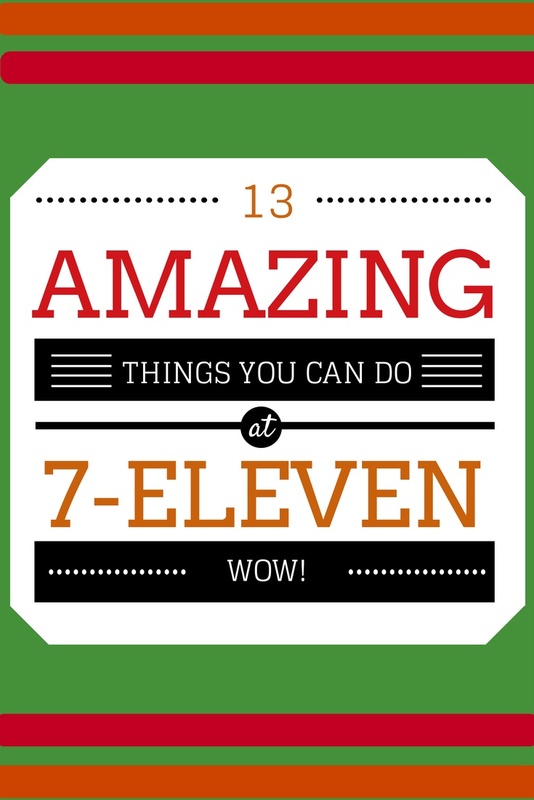 Not only are 7-Elevens convenient for their location, but also for the fact that you can do almost anything there. Don’t believe me? Read on. Haven’t tried this one firsthand yet, but for around US$3 you can drop off your dry cleaning at 7-Eleven and they’ll take care of it for you. Electricity. Water. Insurance. Pesky speeding tickets from when your motorcycle was caught on camera. Just take ‘em in, scan the barcode, and pay up. Once we saw a family of foreigners walking in the middle of a busy Taipei intersection, beer cans in hand, frantically waving their arms above their heads, all the while screaming for a taxi. I was embarrassed for them. No need to act like you’re in the middle of a crisis—next time you need a lift just ask the attendant at the nearest 7-Eleven to call one for you. Most cell phones in Taiwan are pay-as-you-go. Which means, inevitably, I’m quite bad about keeping my cell stocked up with minutes. (Even if it takes about five seconds to purchase more, and my friends at the 7-Eleven will do all the work for me.) Oh well. If you’re a foreigner, your license expires annually. We didn’t realize this, so when Dan tried to rent a scooter in Taitung, we were quite surprised to be rejected because the expiration date had passed. Our Taiwanese friend just told us he could renew it at the 7—now we just need to give it a try. Anyone have experience with this one? You can only send them from 7-Eleven to 7-Eleven, but it still beats the lines at the post office. Not to mention 7-Elevens probably dominate post offices by, like, twenty-to-one. There’s an ATM-like machine in every 7-Eleven store. It’s called the ibon. This is your source for any kind of ‘ticket’ you need. We knew this before, but then forgot, and went all the way to Taipei to purchase Cirque du Soleil tickets last year. (We couldn’t navigate the Chinese website…) It was a bit embarrassing when we arrived at the venue and they just pointed us to the adjacent 7-Eleven to purchase the tickets. This ones a bit obvious, but of course it had to be on the list. Snacks, full on meals, coffee, and alcohol can all be found. As well as about fifty different kinds of tea. And fresh produce. And underwear. Depending on the store, the selection can be quite encompassing. Not only can you buy meals, whoever is working will microwave and prepare them for you. Unfortunately we still don’t have a microwave (something we probably should have bought right away) and we’ve actually brought in Thanksgiving leftovers for them to microwave for us. I don’t know if this is normally frowned upon or not, but the staff sure got a laugh out of it. On every receipt in Taiwan there is a number. And every two months, a select few of those numbers are chosen as the lottery winners. Earnings can range from NT$200 to NT$10 million. As long as you’re only slightly lucky and the winning is NT$200 (which is the most we’ve ever one) the 7-Eleven will redeem it for you. There’s free Wi-Fi, but you do have to sign up for it. This is also a staple of most convenient stores, but the ATMs here are especially handy. Not only can you withdraw money, you can use them to send money to other bank accounts. Most hotels require you to wire a small deposit in order to hold your reservation, so you might actually find yourself using this feature more often than you would expect. I don’t really have anything to say about this one. Pretty explanatory I guess? On top of all that, there’s an awesome sticker reward system. With any purchase, you get a bunch of really annoying small stickers that seem to pop up absolutely everywhere around your apartment. In return for organizing them in your sticker book, you can redeem the stickers for super adorable Hello Kitty trinkets and other ‘cute’ collectibles. Or ice cream, which is what Dan tends to hoard them for. Pretty amazing, right? And I still bet we missed a whole bunch of great things 7-Elevens can do. By all means, if you can add to our list, please do. What do you use 7-Elevens for? Interested in learning more about all Taiwan has to offer? Download our free eBook, 101 Tips to Living in Taiwan, for an all inclusive guide to life in Taiwan. Haha, this is great. There are 7 Elevens everywhere here in San Diego, but I rarely go to them. I hear they are the most convenient places to rent Redbox movies, though! Out of curiosity…can you get a Slurpee at 7-11s in Taiwan? RobRob recently posted…#Travel140: Don’t Tip in USD! Great question! You can definitely get something that is Slurpee-like. I never do, so I don’t know how authentic they taste, but they have the same frozen flavored drink machines as the US. Thanks for the comment! Yes you can ans is the same thing as in the US, nevertheless is only available between March and November I think, people barely drink cold stuff then. Sometimes they may have 1 flavor only in cold season. Love this article! We went to 7-Elevens a few times in Japan (they are all over the place there too), but I had no idea that they were such a hub in Taiwan. Thanks Kindra! Asia definitely knows how to work its convenient stores. I think Japan is where the headquarters are, so I can imagine they are everywhere there too! I don’t understand why there aren’t any 7 Eleven in Europe. We discovered them while traveling in SEA and it’s truly unbelievable how many things you can do there as you pointed out. They really are amazing. I’m surprised they haven’t found a market in Europe too! In the Netherlands we have supermarkets where we can do the same things as in a 7/11. They are normally located just outside the centre and tend to be bigger. Nice post! Have you been to Jakarta before? There is a 7 11 which basically becomes a bar at night as the beer is cheap and they have seats outside do you just sit and drink! 7-11s are magic! I love exploring all the whacky new packaged foods in each country, and of course, getting my SIM card and cell phone minutes topped up. The one in Jakarta sounds awesome. The manager of our apartment complex gives us rent invoices that we can pay at the 7. As an English teacher, it is convenient to pick up Hi-Chews, Mentos, or those popular orange crackers for the kids as treats. Oh, and microwave popcorn, yummm! Nice article , was looking for some article for 7-11 in Taiwan for my friends to tell them how convenient and luxary the 7-11 is in Taiwan. Great article! One thing I think wasn’t mentioned is that you can order from catalogs and online shopping sites and have the goods delivered to a 7-11. 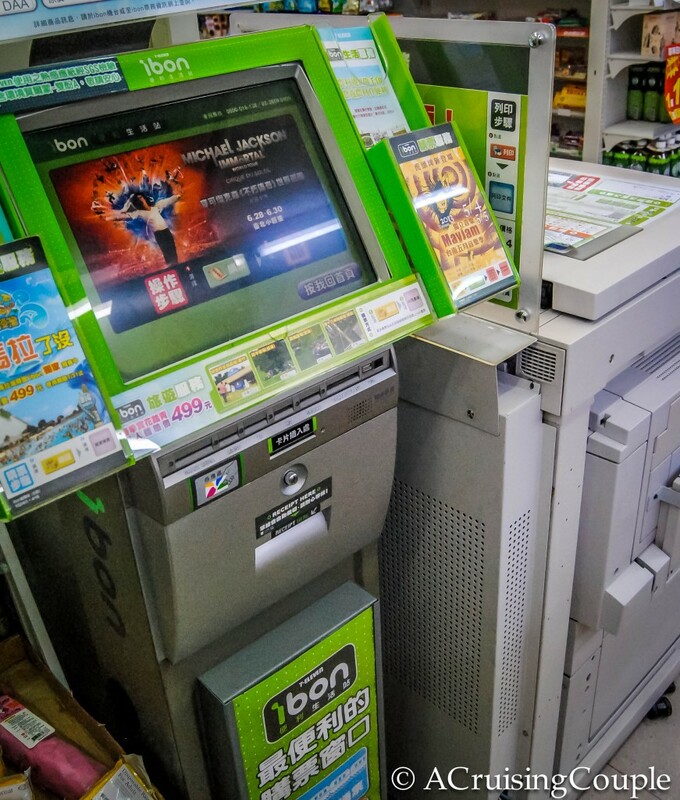 When I was last in Taiwan, I used the IBON machines A LOT – unfortunately they are only in Chinese but if you ask for help the first time you can memorize the buttons for next time! It is worth mentioning that as well as a seemingly endless amount of 7-11’s, there is also Family Mart, Hi-Life and OK Mart which do similar services. :D All these stores are open 24 hours so you can buy hot coffee at 4 in the morning if that’s what you fancy! Thanks for commenting Sue! 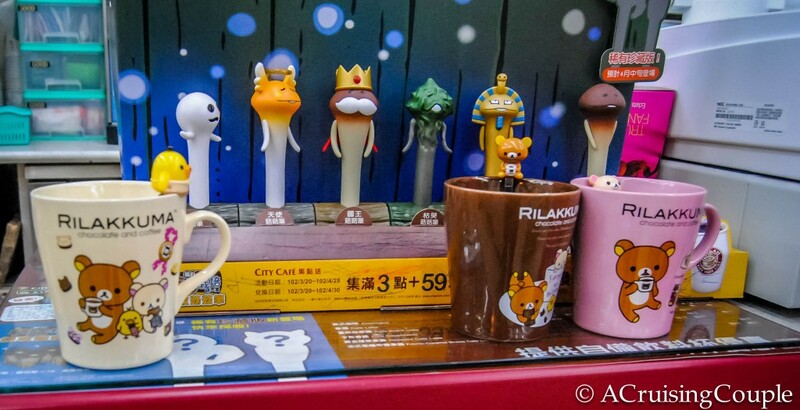 Taiwan takes the term “convenience store” to a whole new level :-p We LOVE it! I used to have to use the IBONs to buy tickets back to the mainland when I was serving in the Army out on Kinmen Island. i like to know if taiwans 7-11 sells greek yogurt??? I lived in Taiwan for a few years. It was really fun to see the different convenient stores. I loved seeing the battle between 7 and Family Mart. The best thing in my opinion was the copy and fax machine. It was really cheap too. Having a cup of coffee here also great too. It’s not really good as in coffee shop but much more convenient. Haha, this is great. Love this article! This is great, i love this article!